French painter Louis Perrey's wonderful antique oil painting, titled 'Le Bouquet des Fleurs' is an effortlessly elegant image of a moment of serenity. French artist Louis Perrey (b. 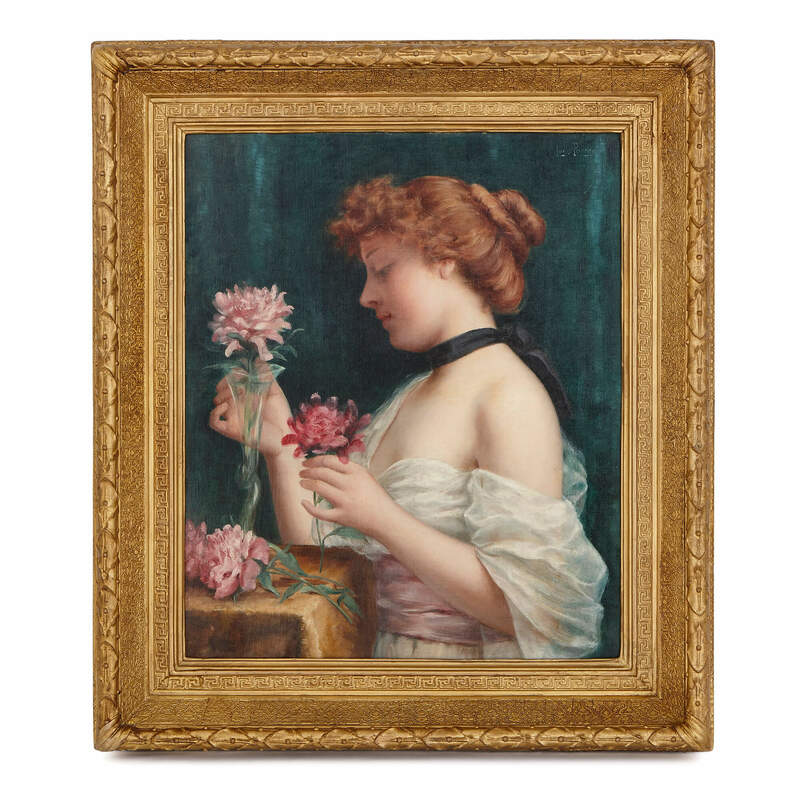 1856) was an acclaimed painter of portaits and genre scenes working in late 19th Century France. 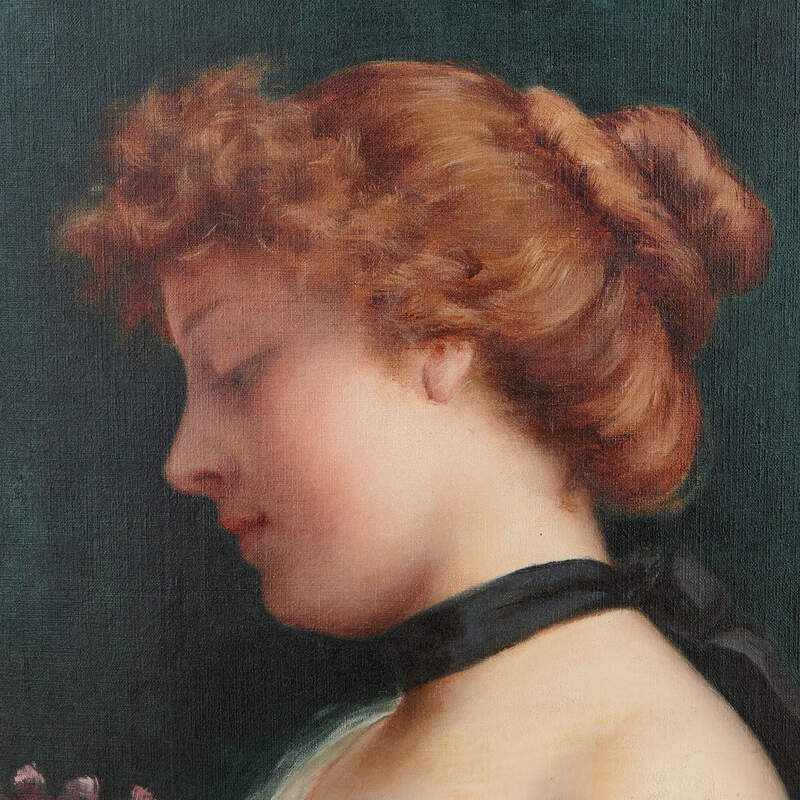 The present painting, saturated with grace and delicacy, amply demonstrates his excellent technical capabilities. 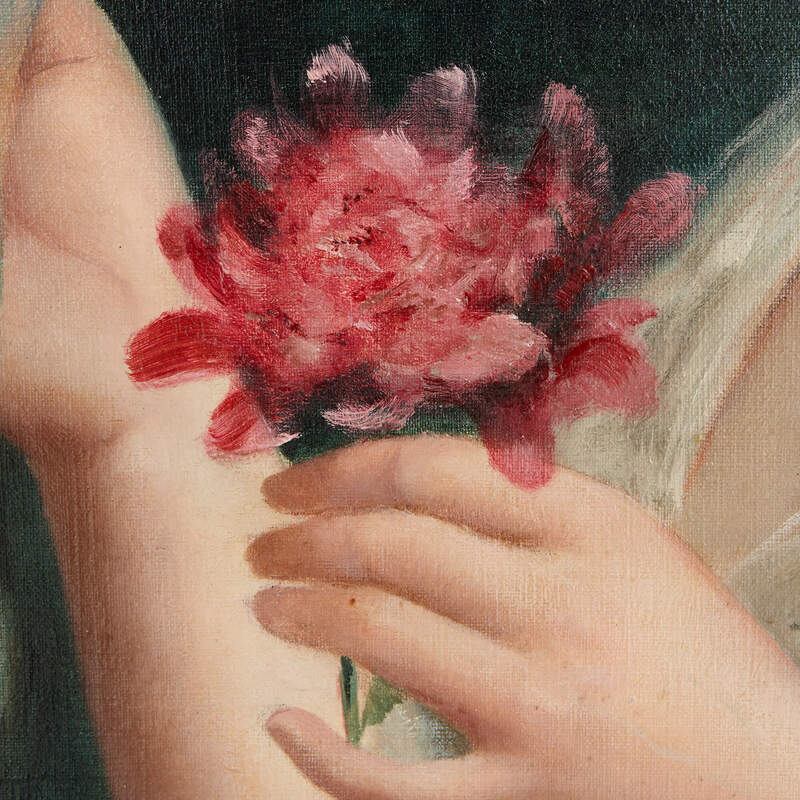 The painting depicts a young woman holding two flowers, one in her right hand and the other in her left, as if to create a bouquet. 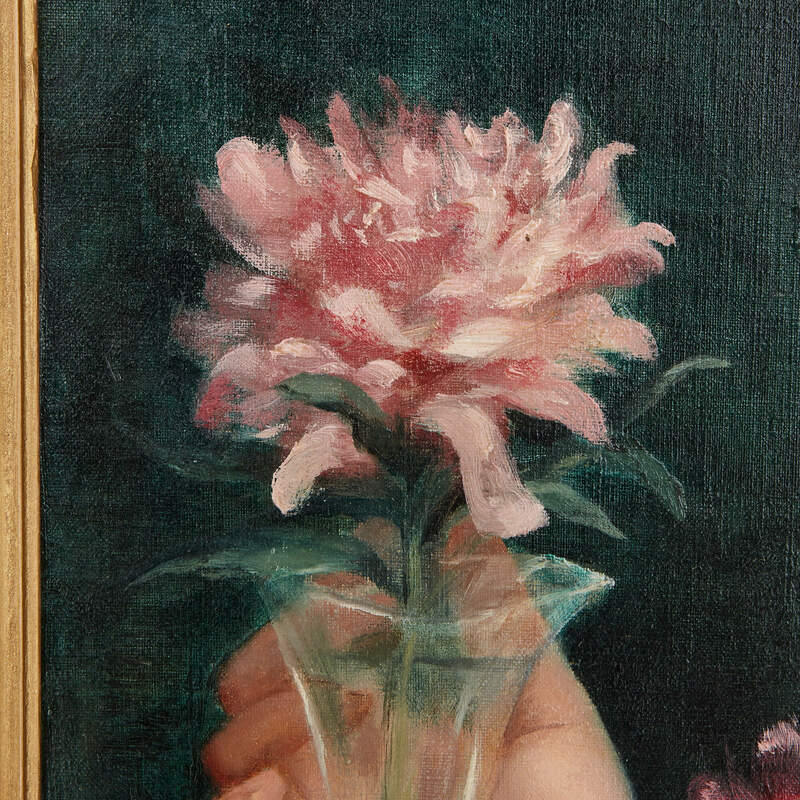 More pink flowers are shown lying on the table in front of the subject. 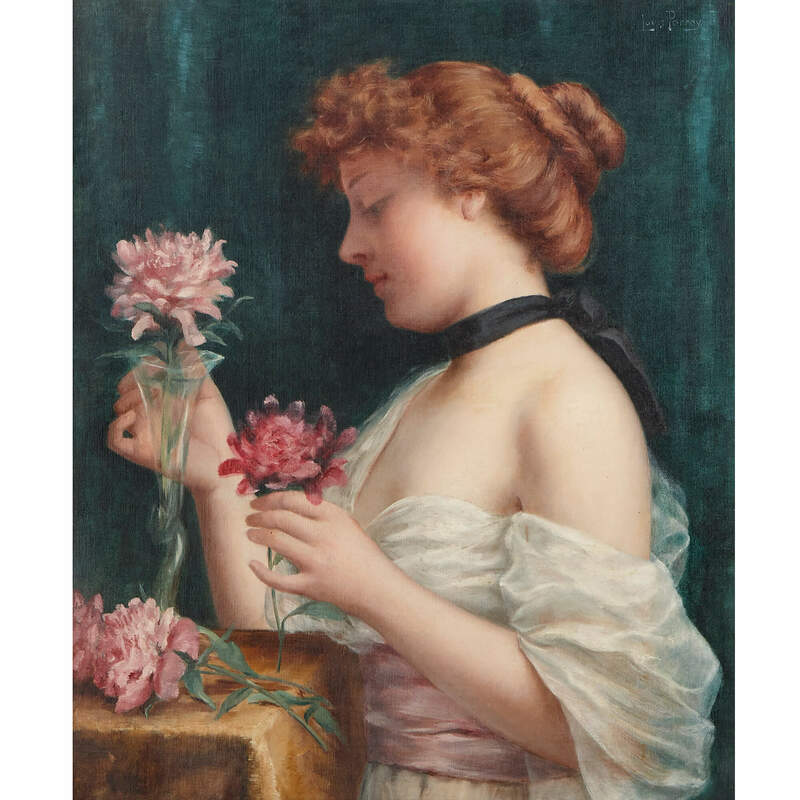 The way in which the girl's clothing falls from her shoulder is immediately alluring: but the way in which she studies calmly the flowers in her hands reminds us that this is a private world into which we have been invited. 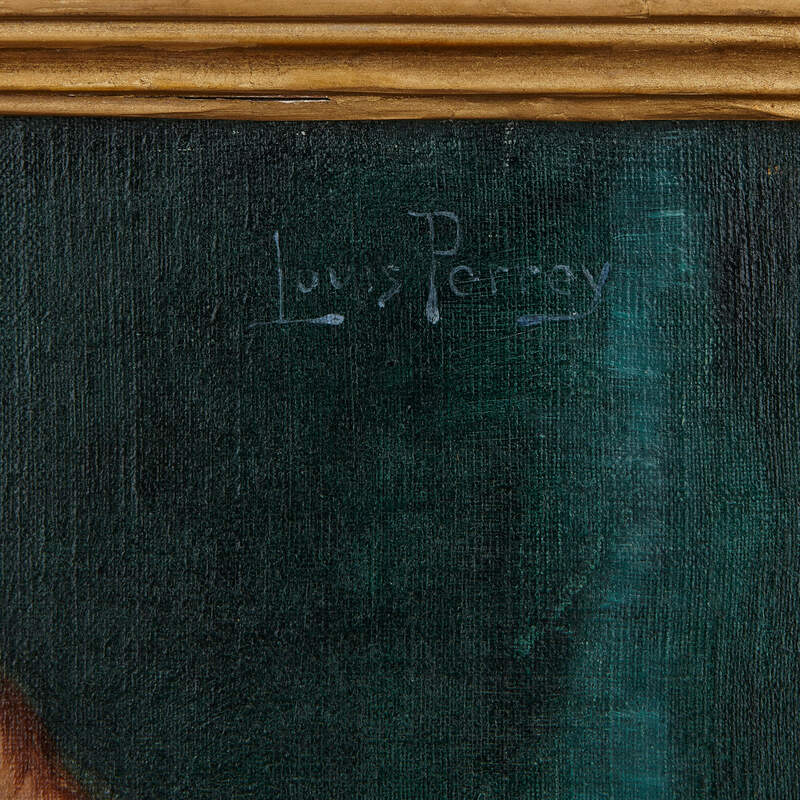 The painting is set within a giltwood frame and is signed 'Louis Perrey' to the upper right.